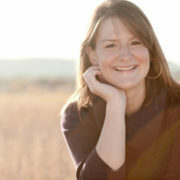 As a coach & facilitator, Christy Lambert helps her clients learn to lead – in life and at work. She specializes in helping clients build their self-confidence and learn how to trust themselves so they can live life on their terms. She also facilities leadership and team building workshops for companies that value quality leadership and want new and compelling ways to help up and coming leaders become great bosses and visionary leaders. Before partnering with horses to help businesses & individuals prosper, Christy spent nearly 15 years in sales and marketing managing multi-million dollar territories for Fortune 500 companies and leading public relations initiatives for organizations like Pacific Northwest National Laboratory & Microsoft. This experience required getting people with very different needs, perspectives and desires all the same page which taught her a great deal about leadership in dynamic environments. She blends this experience with her expertise as a coach to help her clients get clear on their personal leadership style, and develop the confidence to lead with authenticity, strength and courage in the real world.